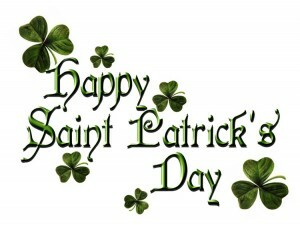 We wish you a happy St. Patrick’s day, all we ask be careful tonight, stay safe. Don’t drink and drive or Text and drive. Let’s have fun and be safe, remember Uber is offering free rides so everyone can be safe. Just use the code Shamrock 16.